A primary way in which the PTA provides financial support to HCHS is through its PTA-funded grant program. There are two grant cycles: fall and spring with October and February deadlines, respectively. The PTA Grants Committee reviews requests from student clubs, teams, publications ans well as from faculty, and proposes award amounts to the PTA board of directors for final approval. Every fall, the committee organizes a review/ Q & A session for new applicants or anyone with questions. The GO will be advertising the meeting in September, so keep an eye out for the announcement. Get Your application in on time. Follow all instructions carefully to get funded. THE CURRENT DEADLINE IS MIDNIGHT ON FEBRUARY 14th 2019 - No exceptions; the review process starts immediately after all applications are received. THE APPLICATION - Download the appropriate club, team or publication application form—see the list at the bottom of this page. FOLLOW INSTRUCTIONS - Fill out all the information on the application accurately and neatly (please be complete and keep the forms intact, as this will make our review process easier). 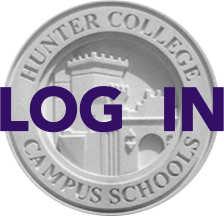 FACULTY ADVISOR APPROVAL - Attach the completed application as a document in an email to your club’s faculty advisor, request approval and ask them to forward it to the grants committee at grants@hunterpta.org by the deadline. We will only consider on-time requests sent from your faculty advisor’s email. EMAIL - The email subject should be your club’s name and the grant application number once one has been assigned. REACH OUT TO HTTPS://WWW.HUNTERPTA.ORG/PTA-GRANTS WITH QUESTIONS. The grants committee reviews every application based on certain guidelines, listed below. These aren’t hard and fast rules, but rather, subject to the discretion of the committee and availability of funds. Please note that guidelines for reimbursement are determined by the City University of New York, and should be adhered to. ACCURACY: Please provide as much detailed information as possible on the purpose, mission, and nature of your club, team or organization. Ensure that all contact, revenue, budget and expense information is accurate. OUTREACH: The Committee looks at the distribution of participation noted by grade, and highly encourages welcoming younger students in 7th-9th grades. FUNDRAISING: The Committee looks for fundraising activities as a revenue source for every application. Please note that grant funds cannot be requested for "pass throughs"—i.e. buying something and selling it in an unimproved form (ie: buying cookies to sell). Funds can be requested for materials to sell (ie: buying ingredients to make cookies to sell). STAFFING: Every club, team and publication must have a treasurer who is not a senior. DEADLINE: Student applications must be completed, then reviewed and submitted by the faculty Advisor by the posted Submission Deadlines for the Fall and Spring Cycles in order to be reviewed by the Committee. Note that no exceptions can be made. PROPOSED EXPENSES: Please be as specific and thorough as possible about all proposed expenses. Example: Supplies: $10 is not specific. Green poster board @$3 each x 4 = $12, 1 box XYZ Day Glo' Markers @ $8 - is specific. Add in sales tax and shipping if applicable. EXPIRATION of PTA Grant Funds: All grant money awarded will expire at the end of the academic year. Unused funds are forfeited. The only possible rollover funds detailed in any application must come from sources other than the PTA and can include donations or fundraising. QUESTIONS OR CONCERNS: If you have any questions, please feel free to email us at grants@hunterpta.org. WHAT IS AND ISN’T FUNDED BY PTA GRANTS? 3. COMPETITIVE CLUBS AND TEAMS: The committee looks to fund registrations to attend tournaments, competitions, national club dues and the like when detailed precisely. Needs based students are funded whenever possible. 4. EQUIPMENT: Necessary equipment requests will be considered, if cost estimates and comparisons are provided. Additionally, safe storage of equipment over holidays and summer vacation needs to be specified. 1. SPEAKERS: With a few exceptions, honorariums, fees, and travel expenses for speakers are not funded. Speakers/presenters are expected to give their time on a pro bono basis. 2. FOOD: Neither meals nor snacks are funded for meetings, competitions, or trips, with the exception of the faculty chaperone's meals. 3. CLOTHING: Clothing such as tee shirts for clubs or teams is not funded. 4. TRAVEL: Student and parent (non chaperone) travel and lodging are not funded. 5. ATHLETIC CLUBS: We do fund athletic clubs, but we don’t fund official Hunter High School athletic teams. Those teams are funded separately. -It is strongly suggested that treasurers, head officers and faculty advisors meet with the bursar, Kamla Narraph, to review plans for use of grants. -School purchase orders should be used for all purchases whenever possible. -Invoices or estimates with requests for checks from the school may also be used with the aim of avoiding personal spending, but should be reviewed with the bursar. -Specific guidelines for expenditures and reimbursements will be sent with grant letters upon approval. Please review these carefully with your faculty advisor. - Be originals. Handwritten, blurred, torn receipts or invoices will not be accepted. Amount on receipt should correspond with reimbursement request. - Have the club, team or publication advisor’s signature. - Itemize all items purchased. - Be dated and have the name and address of place of purchase. - Be submitted as soon as costs are incurred. Any receipt or invoice over three months old must be accompanied by a letter of explanation for the delay. - Travel: Have copies of all receipts including tickets, boarding passes, and hotel check-out receipts. -Submit original receipt or invoice indicating cash payment and “paid”. Include purchaser's name on receipt or invoice. Please download, save, and fill out digitally. Send completed forms to grants@hunterpta.org.